Follow a Museum | Follow a Museum Day. Every 1st of February. What‘s the aim of Follow a Museum Day? All (twitter) eyes on museums and their exhibitions! That‘s basically the concept of »Follow a Museum Day« in a nutshell. On 1st February, this online version of a museum day brings fresh air to the interaction between museums and their followers on twitter. It is a great opportunity for the museums to grow their twitter presence and the users might find a new interesting museum to follow or rediscover renowned ones in their timelines. What is my connection to the different museums? What are my expectations towards them? Today, we have the opportunity to communicate directly with museums – with their directors, curators and other members of staff – thanks to social media tools. At first glance, this form of communication appeals to be a very simple and convenient approach. However, an important question arises: How should the relation between “museum – visitor, visitor – museum” be like and how should it be shaped? Ultimately, this pattern of visitors/ social media users/ followers & museums results in a n entire new form of communication and the participants themselves determine individually the scope of interaction. The »Follow a Museum Day« should be considered to be a communicative impetus and maybe act as a catalyst for new ideas and projects. 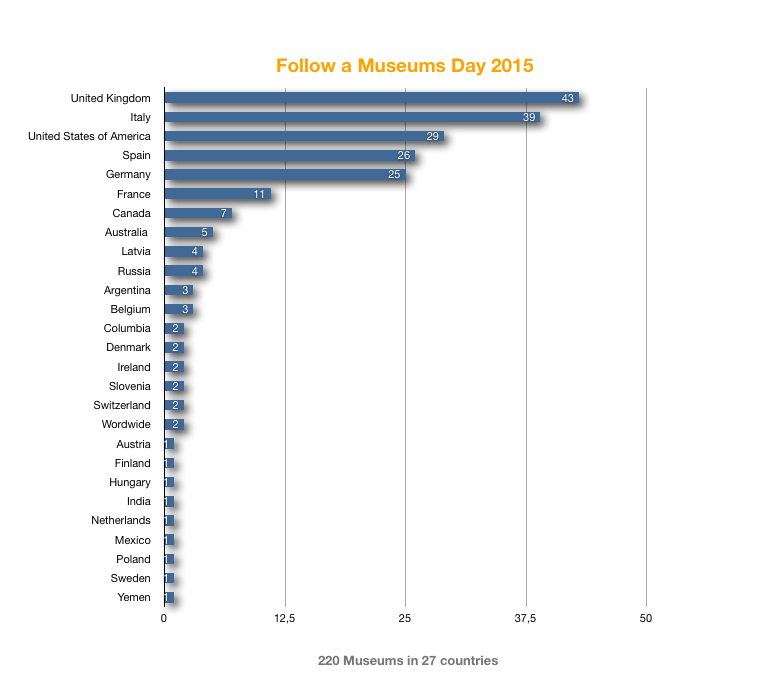 Many museums joined Follow a Museum Day with educational offers or by including their followers directly in their twitter dialogue in order to exchange ideas. Thanks to all participating museums and twitter followers for this amazing social media day! A special thank you to the fellow campaigners of Follow a Museum Day behind the scenes, who spent their free time preparing and pushing the project. Please feel free to send us your feedback and suggestions. We are looking forward to the next Follow a museum day to come. See you 1st February 2016 on twitter!